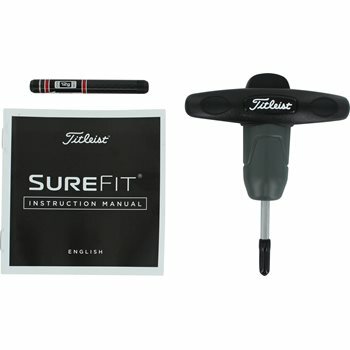 The Titleist SureFit Torque Wrench securely fastens your shaft with SureFit™ hosel to the club head with ease by using the appropriate torque needed. 12 gram weight included. what kind of weight is included in the titles Surefit Torque Wrench with Weight Tool? Can I select the weight- gm, draw/fade vs neutral and club it would be used in-driver vs fairway wood? The included weight is the 12 gram draw/fade weight.